Elisabeth Nash has spent years dreaming of returning to the small town of Trusty, Colorado, where she spent summers with her favorite aunt. When she inherits her aunt's farmette, she closes her Los Angeles pet bakery and pampering business, sure that life in Trusty will be as peaceful and as welcoming as she remembers. 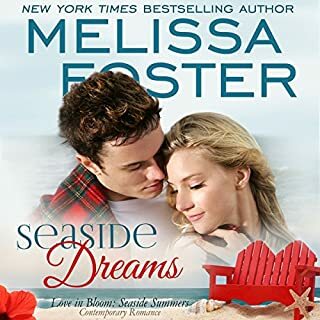 But being an outsider in the close-knit town proves to be very different from the happy summers she remembers from her childhood - and falling for Trusty's hot, wealthy, and sinfully irresistible veterinarian, Ross Braden, sends the rumor mill into a frenzy. Ross Braden learned long ago that gossip spreads faster than weeds in his small hometown, and Ross loves nothing more than his privacy. For that reason, he doesn't date women who live in Trusty. But that was before blond, beautiful, and refreshingly honest Elisabeth Nash flew into his vet clinic seeking help for her panicked piglet and turned his comfortable life - and his heart - inside out. Small town romance at its best! I love the series as a whole, cute warm and just fun-loving stories. However, this book's characters brought something new and so sensual that really made it extra special. I need a Dae in my life, wow! I love Ross and Elisabeth. 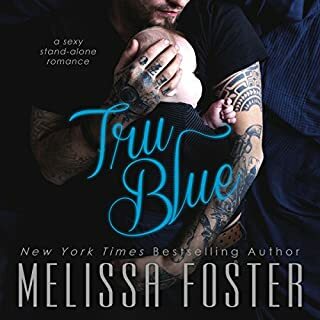 Once again Melissa Foster has provided us her unique brand of writing brought to life by the voice of BJ Harrison. Each of the Braden romances are emotion filled tender stories and Flirting with Love is no different. Elisabeth returns to Trusty, CO as an adult after inheriting her Aunt Cora’s farm and pie baking business. She meets Ross when she shows up at his vet office with the runt piglet of a new litter. And the fun begins. This delightful story will make you laugh and give you “feel good” goose bumps as the other Braden fiancee’s befriend Elisabeth. You might even shed a tear or two as a result of the compassion for other animals. I highly recommend this audiobook. Melissa has penned another super fun story. B. J. Harrison narrates this one and he is fantastic. Ross Brayden is a Veterinarian in his hometown of Trusty, Colorado. He also trained dogs for Pup Partners, a service dog program ran by a prison. Elisabeth Nash ran into his office with a piglet in a panic. The piglet got away from her and caused havoc in the waiting room. She had moved from L. A. to Trusty after her Aunt Cora died. The aunt had a farm next to Ross's property. They both heated up when they looked at each other. Ross thought she was hotter than hell. Such a fun read and listen with laughs. Melissa keeps impressing book after book. Ross is the kind of book boyfriend you fall in love with. He is an animal lover and loves him momma. As the town vet Ross thinks he as seen it all until a piglet enters his practice. The piglet is followed by a woman he has never seen before. Ross has one rule about dating. He doesn’t date girls within town. Elisabeth is new in town after her aunt passes away and she inherits her farm and business. Coming from LA to Colorado is quite the change and people are so open to her. Ross befriends Elisabeth and as they get to know each other their respect and love grows. This book has a sweet climax to the main event. 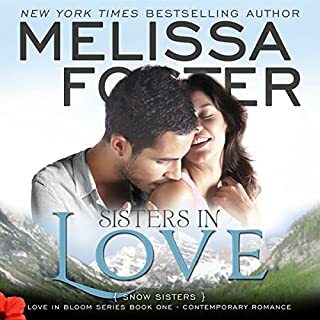 I listened to the audiobook of Flirting with Love by Melissa Foster. B. J. Harrison is a great narrator. This is the story of Ross Braden and Elisabeth Nash. Ross is a veterinarian who lives in Trusty and makes it his purpose not to date anyone is Trusty. That is until Elisabeth moves to town and shows up at his clinic with a piglet who wont stop squealing. Their sparks fly. I loved this story and their chemistry. 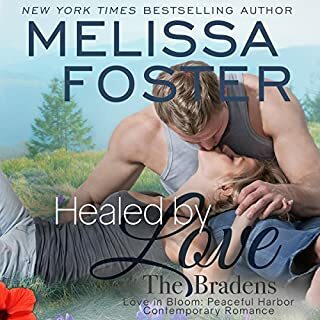 This book is a great addition to the Love in Bloom series by Melissa Foster. I love animals so a book about a veterinarian was sure to catch my attention and once it did, I could not stop listening. A tiny pig brings Elisabeth to Ross's doorstep and into his well ordered life. Ross is serious about his veterinarian practice and about life in general so when he is seen about town with &quot;Lissa&quot; tongues start wagging! The rumor mill starts grinding but will the community welcome Elisabeth with open arms? I enjoyed the book and the story is well written and narrated. Ross and Lissa and their menagerie captured my heart and this book is well worth taking the time to listen to.